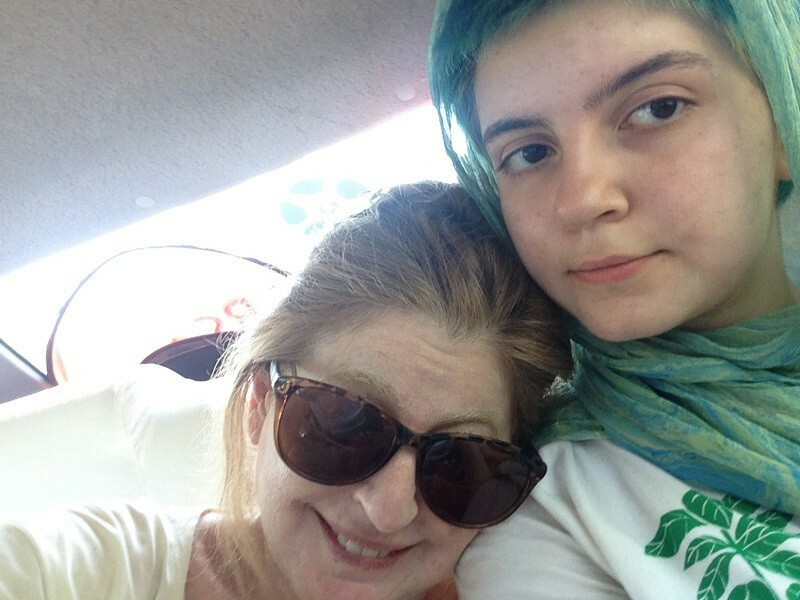 It was far far away –to a corner in south India brewing with the future – that my daughter, Maddye, and I had a girls’ night out for a few weeks across the world. Maddye was excused from high school since she was on an educational trip to Auroville, the international township recognized by UNESCO and the Indian government. 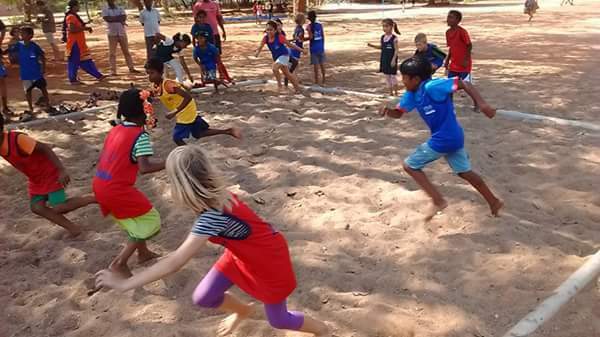 It is almost 50 years old and has 1200 people from all over the globe living there – French, German, American, Russian, Italian, Indian, British, Israeli, Italian, African, Australian, et al! Accents mix, clothing design becomes very modern and fluid, food incorporates many different spices but everyone is there to grow, learn and help to forge a more harmonious and environmentally positive life style. 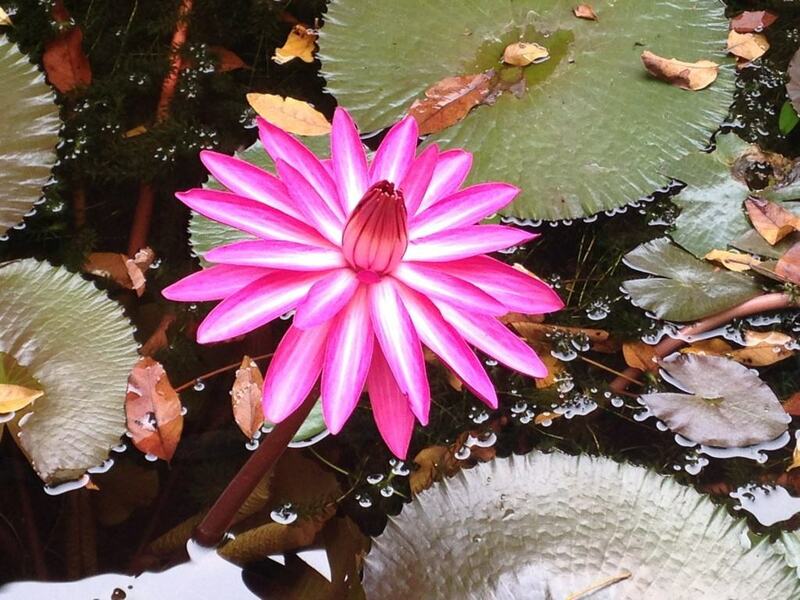 I was able to leave since we went together and I was going to help facilitate the Nakashima Global Connections III/A Meditation in the Light of the Supramental, an international peace event. It was in coordination with the other two Nakashima Peace sites: the Altar in The Cathedral of St. John the Divine in NYC for the Northern Hemisphere and the other Sacred Peace Table in The Academy of the Arts in Moscow for Europe. Adventuring with Maddye was familiar since we have often gone off on our own, be it swimming with dolphins or visiting the oldest living settlement in North America, the Taos pueblo. But India is India, magically exotic. And Auroville is 12 degrees north of the equator. The sun blazes and the nights cool. The moon was full when we were there and we often went out in the evening for a watermelon juice or galette to feel the soft breezes of the palm trees. Indeed, all the trees and vegetation that are there have been planted by Aurovilians, fulfilling an old prophecy that the desert plateau would become a huge woods again. It has used this expertise to help communities throughout India and the world in sustainable development. The day after we arrived there was the 9th annual marathon, an event which brought over another 2500 people running the paths of this “city of truth”. Many were mesmerized by Maddye’s blue hair which must be quite unique in India since the athletes often stopped and took pictures of her! It was also a day of cultural interaction with the surrounding Tamil villages and the vast variety of handicrafts made by the decades’ long collaboration were on display at the Visitors’ Center. Since we were near the Bay of Bengal, we went to the beach for 2 days, hearing the sound of the waves and surrounded by plumeria, a wonderfully fragrant flower. Our guest house was decorated with pictures of late 19th century French women, a delightful surprise when we entered in from 21st century India. 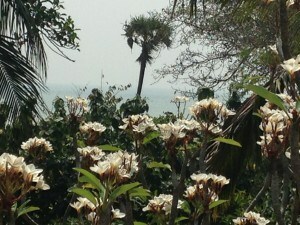 But the décor did fit since this area, south of Chennai, had been colonized by the French. 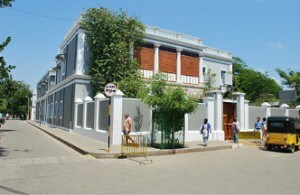 Pondicherry has large colonial houses, French expatriates and food. 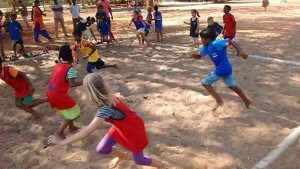 The language is still spoken by the native population along with English and Tamil. Puducherry, as it is now called, embraces its French heritage with an elegance which enchants everyone. Ang Li certainly was! He opened his film, Life of Pi, with pictures of the town and the Sri Aurobindo Ashram which was overseen by the Parisienne, Mira Richard, who was later called by the honorific title of The Mother. She is the one who had the piscine, the swimming pool, built! 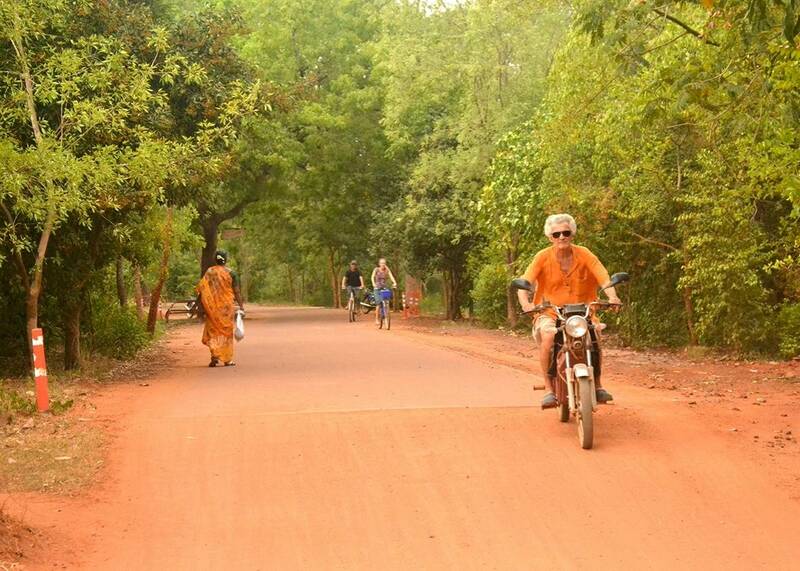 We return to the red dusty roads of Auroville which are filled with people – walking, biking, motor scooting – rickshaws and cows. Yes, cows do meander everywhere, along with peacocks and the stray dog or cat. 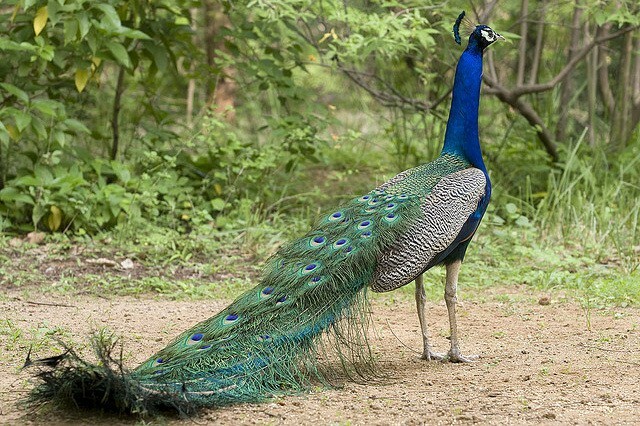 Although exquisite, peacocks do make the most strange sounds, often reminding us of our cats at home but much louder. Maddye sliced bananas and made dozens of peanut butter and jelly sandwiches as a snack for the kids at Certitude who were in the Sports Programs of volleyball, basketball, the badminton tournament, tennis or ping pong. Late in the day the courts were filled with lots of people exercising after work. The actual full moon occurred on the 21st , Mira’s birthday anniversary. Pondi was filled with crowds meditating at the ashram and having the opportunity to go through her private rooms. They are meticulously kept, filled with beautiful objets d’art and a rarified atmosphere. Maddye and I were given a pass to go through also. 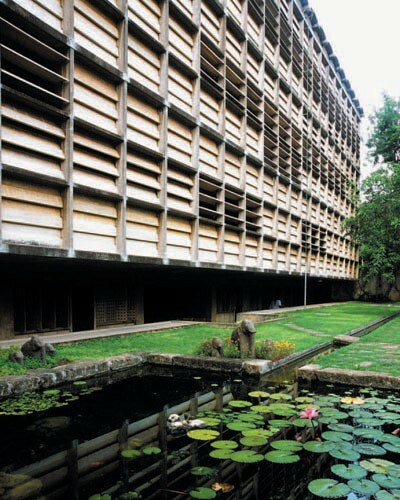 While in town, we had tea at Golconde, the first modern building in India. Nakashima had designed and built it in the late 1930s when he was at the ashram. 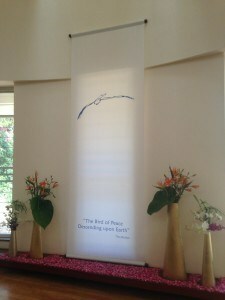 It is a most exquisite place, impeccably maintained and lived in by members of the community and a few lucky guests. 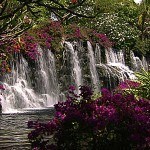 Its ecological principles continue to catch the sea breeze and cool the rooms. To mark this full moon, there was a wonderful Asian festival in Auroville. Organized by Chinese, Japanese and Korean people who now live in the community, there was calligraphy, music, martial arts and a wonderful dinner. We spent the rest of our days preparing for the event on the 25th and visiting special people and places. 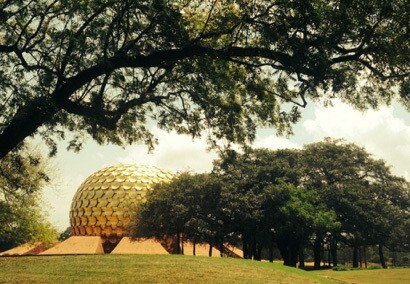 One such is the Matrimandir, a place of deep concentration. Its history is a story in itself but at this point, it is a wonder. As one enters, shoes are removed and white socks put on. 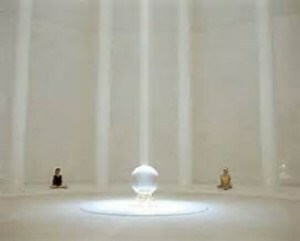 You then ascend a winding ramp of marble eventually covered in white rug which leads you to the inner chamber, a room that was designed by Mira to be a place of deep stillness. It has the largest made crystal in the world through which a beam of light passes. Sometimes the light is white but at other times it was light blue, which reminded me of the color of the United Nations. Each step along the way has been carefully planned, with the gentle flowing water on the walls cleansing one’s aspiration as you climb towards the sanctum. There are cushions to sit on and a peace so surrounding and fulfilling that I often felt up lifted to a very rare consciousness. 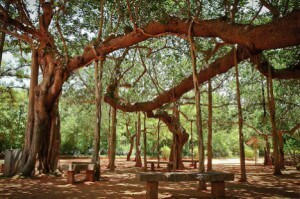 This is expected and so the surrounding large gardens with flowers and the magnificent Banyan tree at the geographical center of Auroville help to ground you in a very concrete manner. The array of work, cultural events, scientific investigations astounds! 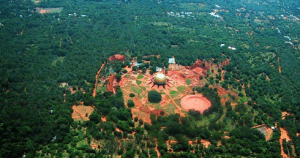 Auroville is well known for its experiments in education, afforestation, women’s empowerment, vegetarian food, recycling projects, solar and wind energy. It has been given many awards, including the Ashden Award for Sustainable Energy (2004) by Prince Charles. While there, Maddye and I saw an amazing team of youngsters doing Indian martial arts and fire dances and heard a brilliant Russian violinist playing Bach, fusion music at the amphitheater near twilight and the sound of Bollywood music on loudspeakers from the nearby villages. Often, in fact, it felt as if we were in one with the splash of hot orange sarees going by on motorcycles driven by young men with very hip sunglasses rushing to a meeting while the “westeners” wore simple cotton clothes in the heat and tried to bicycle everywhere. Auroville celebrated its 48th birthday on February 28th and we were privy to it. There is always a huge bonfire at dawn. Of course, we went – along with many many others. 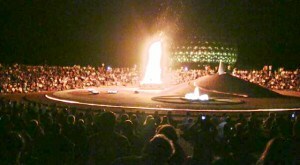 The amphitheatre was filled to capacity with the crowd gently overflowering into the surrounding areas. It was special to be up so early and see the huge fire’s light merge with the tropical sunrise. 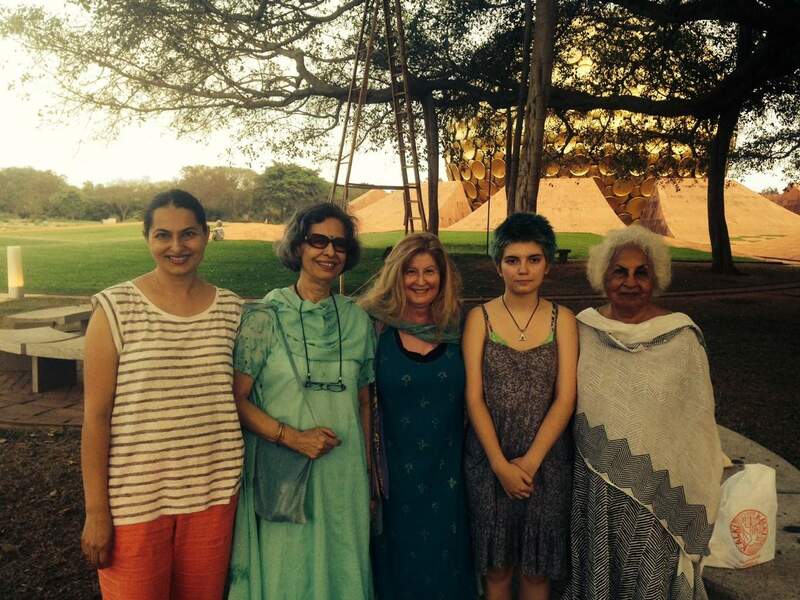 Geeta Verma and her family were in Pondicherry but had come out to Auroville to visit her sister-in-law, Aster Patel. We had a rendezvous which was short but very sweet! They have all known Maddye since her birth. We often meet in Manhattan so this was quite special to meet at the Matrimandir. Starting at the left: Rohini is a co-leader of the NYC Study Group. Geeta is Rohini’s mother and represented India in the United Nations, Ethiopia and Thailand as the spouse of Ambassador Vinay Verma, now retired. 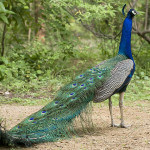 He, his son Rahul and Rohini’s husband, Ranjit, were walking about the gardens when we took this photo. 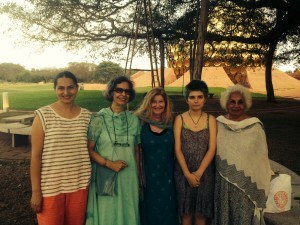 At the far right is Aster – one of the 1st children at the Ashram, she studied at the Sorbonne, lives in Auroville and is the force behind the Bharat Nivas. February 25th was the day that the Hall of Peace in the Unity Pavillion was available for the gathering I had envisioned. 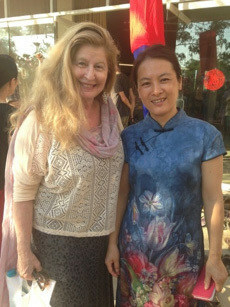 As a Board Member on the Nakashima Foundation for Peace, I was able to secure two hours in the late afternoon for the event and a tea. The women, originally Swedish and Swiss, who oversee the Pavillion were very busy with many events but they were also gracious and we were all able to create a powerful moment by working together. From my very small hope it grew into a global event. Another member, Julian Lines, was able to Skype with those members at the Altar in NYC: Mira Nakashima, Jon Yarnell and Irene Goldman. It was 6:30 in the morning there and 2:30 in the afternoon in Moscow! Here is a YOUTUBE 10 minute version of the hour long invocation. Maddye played a wonderful role in it and was the first person to read a description of special flowers. She clearly rose to the occasion. 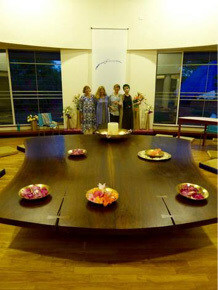 We had many special flowers on the Nakashima Sacred Peace Table that helped to elevate the atmosphere: lotuses, roses, birds of paradise, orchids, lilies, jasmine, tuberose, French marigolds. We were even able to give away many of them to the participants in the end. 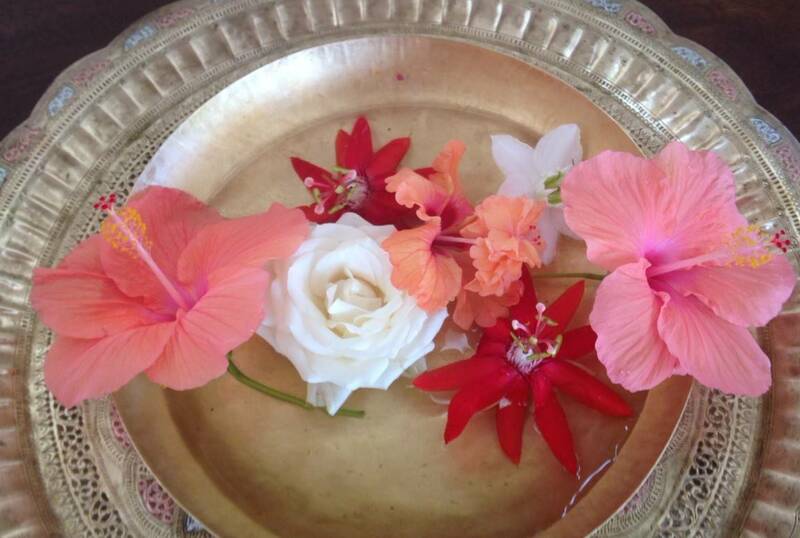 In India and throughout all of Asia, flowers are often an integral part of a ceremony. I must admit that I appreciate this. 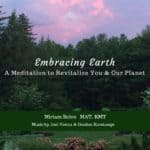 Even though this event was to prepare for the auspicious February 29th, a day of evolutionary significance, I was deeply inspired to connect its energy to the fragile climate we see all around us. As I spontaneously said, “Let us include the creations of the ancients: Machu Picchu, Stonehenge, the vortex of golden Jerusalem. People from the United Nations to us. The importance of the COP21 historic agreement and our deep prayers. 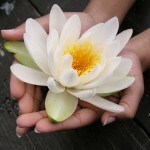 May these all unite in strength.” Kindly allow my words to suffice. These same words were also recited in Moscow and NYC at the various venues. 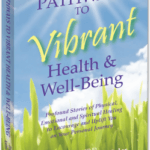 Please see the powerful flow of Supramental Light and Force and Consciousness that The Mother described flowing from the heart of each cell of your body, illuminating your soul, filling your whole being here and now in 2016. 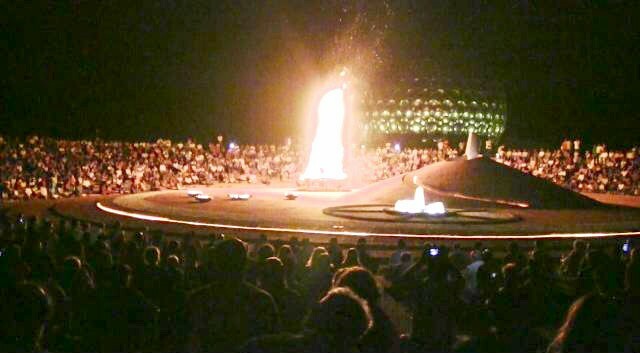 Allow this Supramental Light to flow in a clockwise direction to the other people in the Hall.See The Matrimandir, the soul of Auroville, collaborating with us. 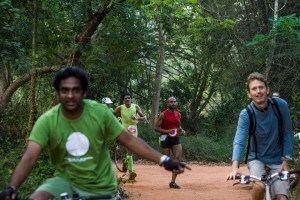 Please make larger circles, embracing all of Auroville and the Ashram. This Supramental Force is now encircling the globe bathing all sentient beings, all of Nature. It is connecting the Sacred Peace Table in Moscow and the Altar in New York City. A large wave of peace covering all. Elephants, ladybugs, dolphins and eagles. The iced peaks of Everest, the rainforests of the Amazon, the Grand Canyon, the islands of Hawaii, the Danube river, the great expanse of the Steppes. Pure water/clean air, blue sky/green grass, rich soil, vibrant health and strength flooding everyone, every species so precious to the ecological web. See this Golden Consciousness flowing around and through our fragile globe, Mother Earth, as Matter and Spirit unite, Evolving by the Supramental Light, Peace and Love.